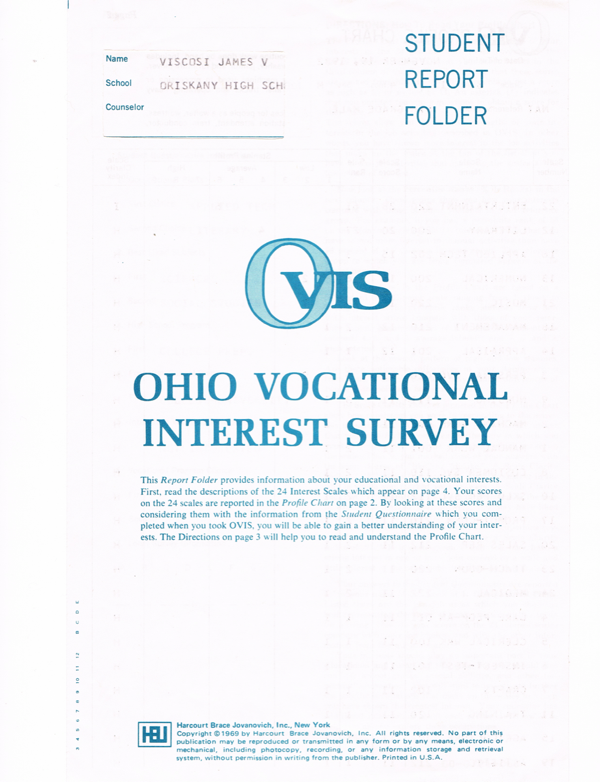 What is the Ohio Vocational Interest Survey, you ask? Good question. My wife the teacher has never heard of it, although ERIC has. Let’s turn the page and look inside! 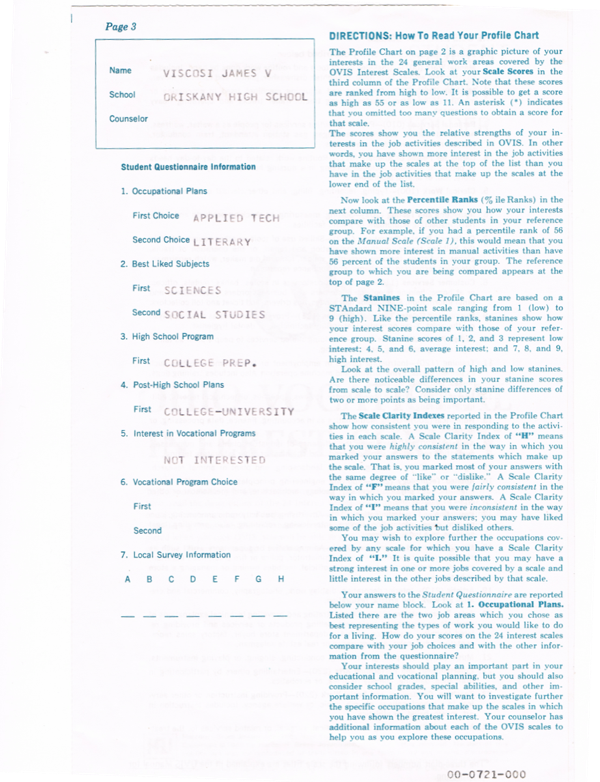 Hmm, it appears that, in 1982, based on my answers to the survey questions (whatever those were), I was found to be interested in virtually no vocations other than “Entertainment” and “Literary”. Given that I once told my parents that “work is inconvenient” (what, are you going to tell me it’s not? ), this is perhaps not a surprising result. And look, there at the very bottom, we have “Training” (it’s a well-known fact that I am a terrible trainer), “Agriculture” (about the only thing I’m interested in growing are cactus), and “Artistic” (it’s another well-known fact that Jim Can’t Draw). So that’s a good place for those things. There, see? I did have occupational plans, at the ripe old age of thirteen! “Applied Technology” and “Literary”. And what do I do now? Oh, wait, that’s that Tyrion Lannister does. What I do is write computer programs and novels. So, “Applied Technology” and “Literary”? Occupational plans achieved, I guess. 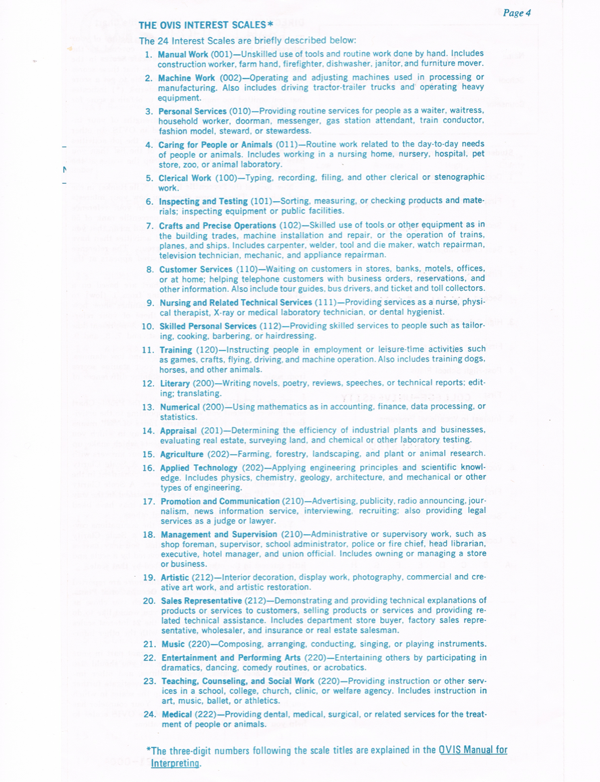 But what are the other occupational interests they had listed 35(!) years ago? Let’s turn the page one more time. Is “fashion model” really a “Personal Services” job? Is being a judge really a “Promotion and Communication” job? I took an aptitude test in high school many (I hate to tell you how many) years ago, and one of the careers for which I was suited was ticket taker. Do they even have those anymore?